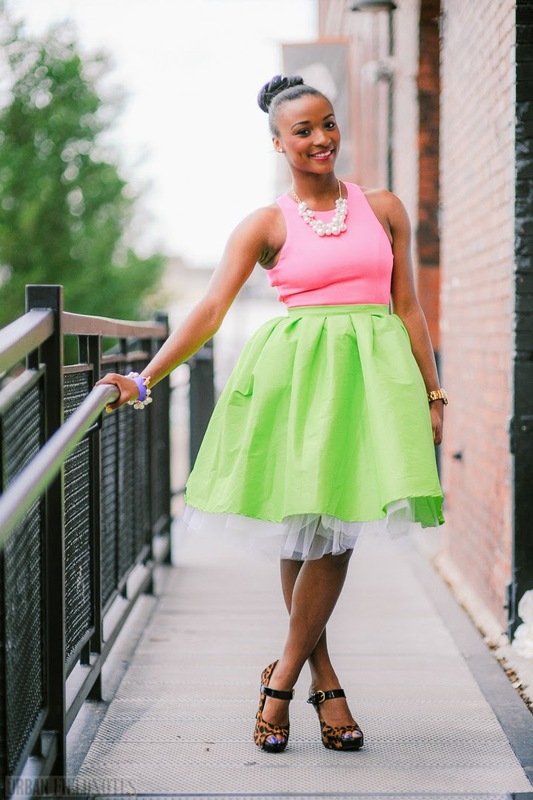 Aryelle described her style as "very trendy," but then added that she also does do "classic stuff." When I stopped her she was wearing an H&M top, a BCBGMaxazria belt, Guess cut offs, a Forever 21 sweater, and shoes from Target. When I asked Aryelle what kind of music she's into, she told me, "heavy metal, surprisingly." You can't always tell who is into metal these days. The tribe has expanded once again. And diversified. 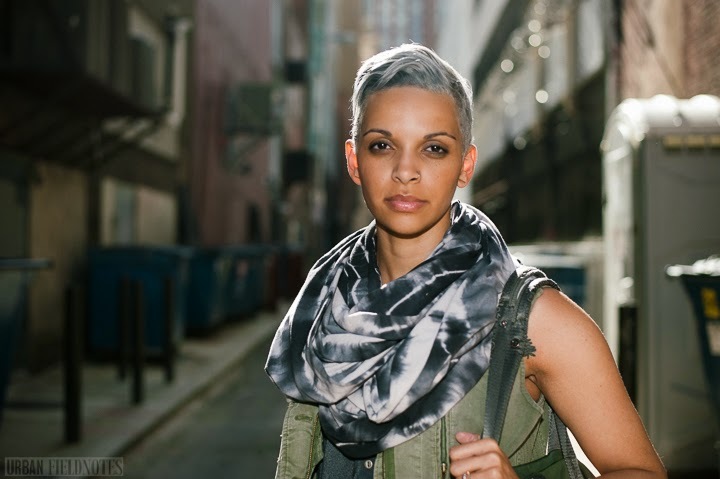 Aryelle started listening to Atreyu in around 5th grade, and she's carried the metal flag—even if it sits folded up in her closet—ever since. As I Lay Dying and Lamb of God are still some of her favorites. 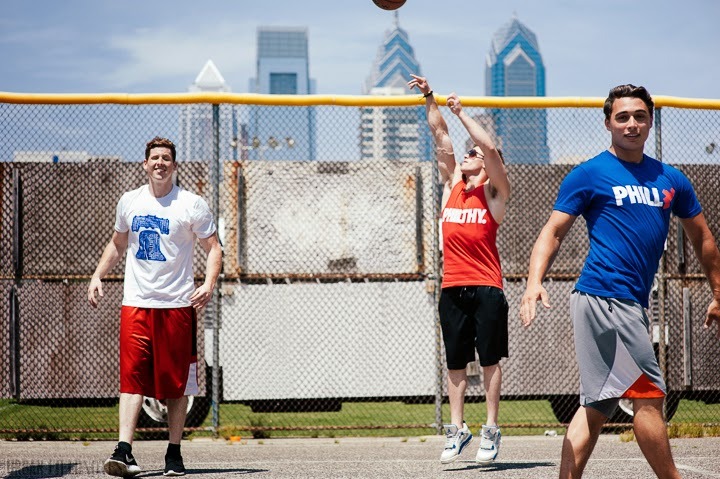 The other day I was invited to crash the photo shoot of Aphillyated Apparel, a Philly-based streetwear company that I've been in communication with for a while. 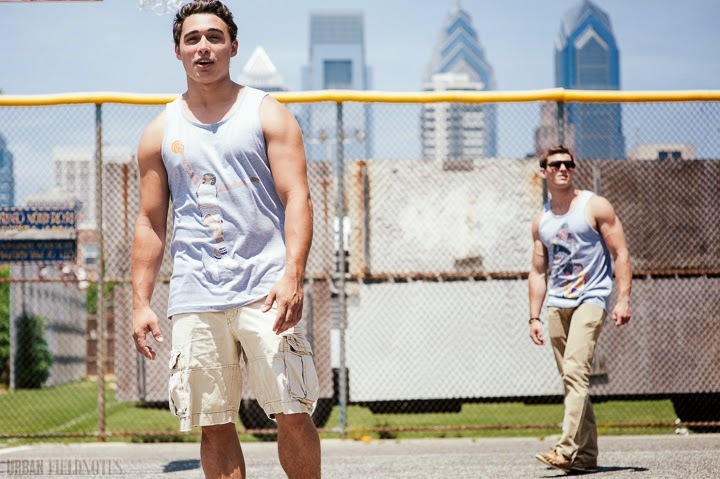 I've been wanting to start featuring Philly fashion brands on the site, and they've been wanting to brand their company with more of an urban vibe. So it seemed like a natural fit. Who better than an aging anthropologist with a professor beard and bucket hat to lend their company the edge it needs?! It was a fun shoot, in part because their aesthetic is so fundamentally different than my own. I tend to single out the black-clad and the idiosyncratic. They're more about bold colors and bulging biceps. I shoot dudes with tattoos and piercings posing in darkened alleyways. 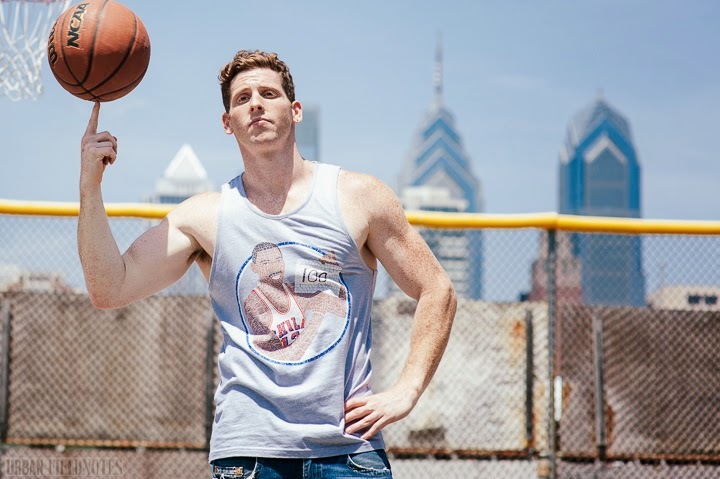 We shot this homage to Abercrombie & Fitch in a sunny baseball field in South Philly. 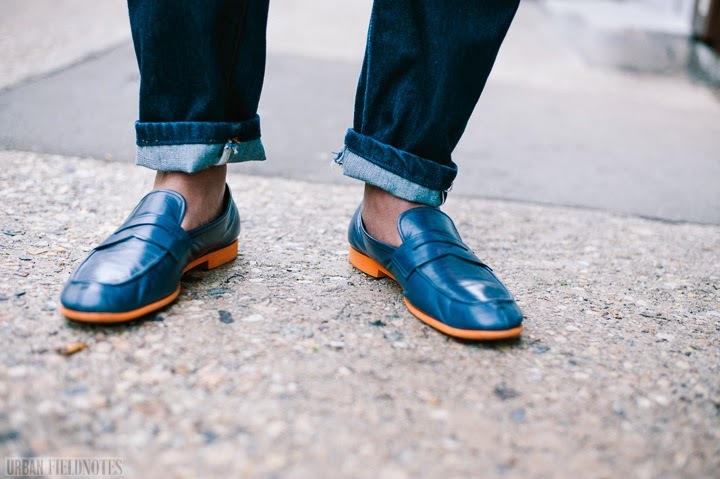 I met shoe designer Jermaine Pratt (of J Pratt Footwear) at the Philly Mens Style Week showcase last sunday. He was wearing "a little vintage, double-breasted navy blazer, yellow slacks from H&M, and custom shoes by J Pratt, made [him]self." My detail shots of the shoes didn't turn out. I forgot to close the aperture down far enough. I know, I know. It's unconscionable. You'll just have to go to his Facebook page to check out his work for yourself. They specialize in "very one-of-a-kind, whimsical" pieces. "Showstoppers," he said. "That's what we call them." 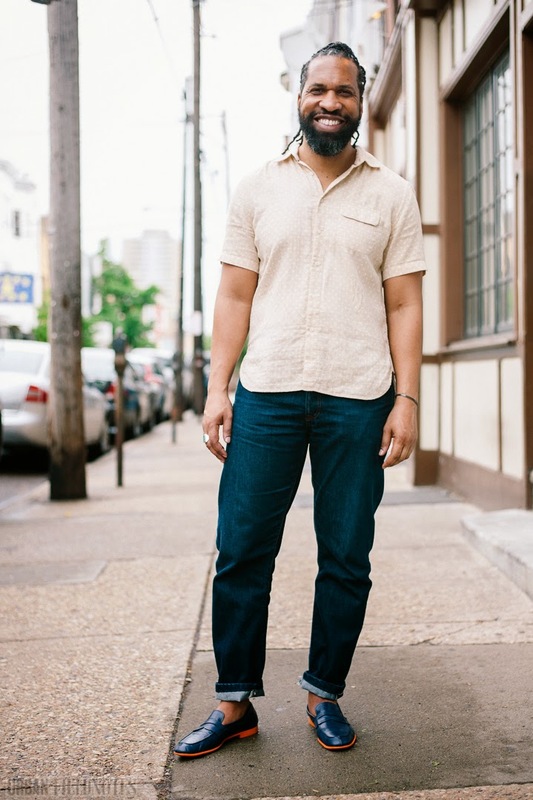 Jermaine describes his personal style as "clean and classy." He likes to "keep it light with a little pop here and there." 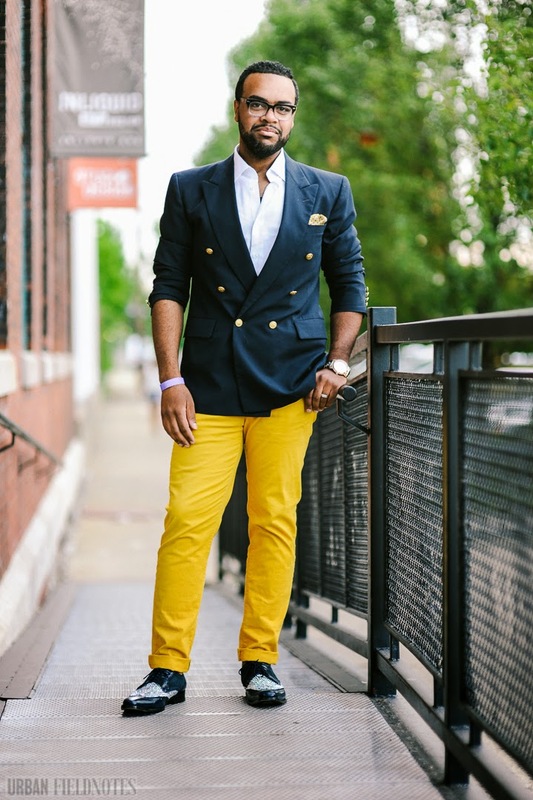 In this outfit, that pop comes in the form of a yellow and blue, polka-dot pocket square. Davida is Philly-based fashion blogger, who blogs at gowildbewild.com. I met her first at the Cigars & Bowties party at Ashton Cigar Bar that kicked off Philly Mens' Style Week last Saturday night. 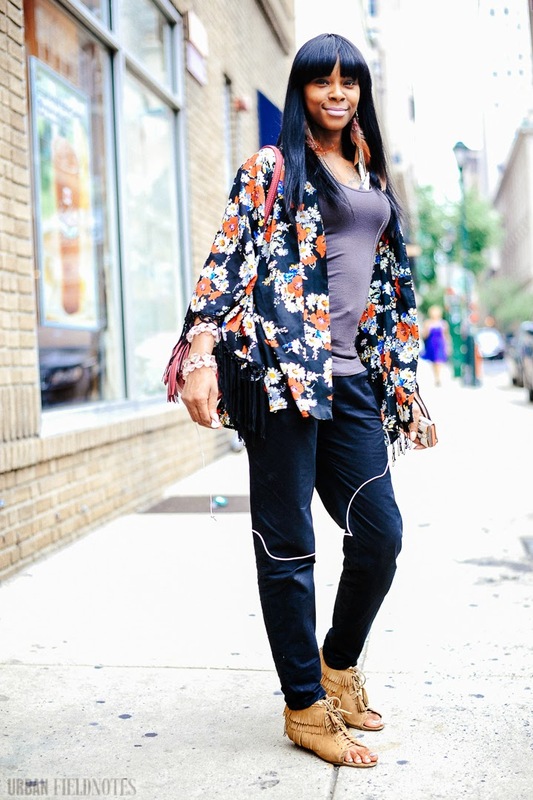 When I ran into her again at Philly Men's Style Week, I pulled her outside for some quick shots before the runway show. Her top in these pictures "is actually a dress. It’s by Temptations, a little boutique on South St." Her skirt is from chicwish.com. Her shoes are Jessica Simpson from TJ Maxx, and her purse is from Laila Rowe, on 17th and Chestnut. 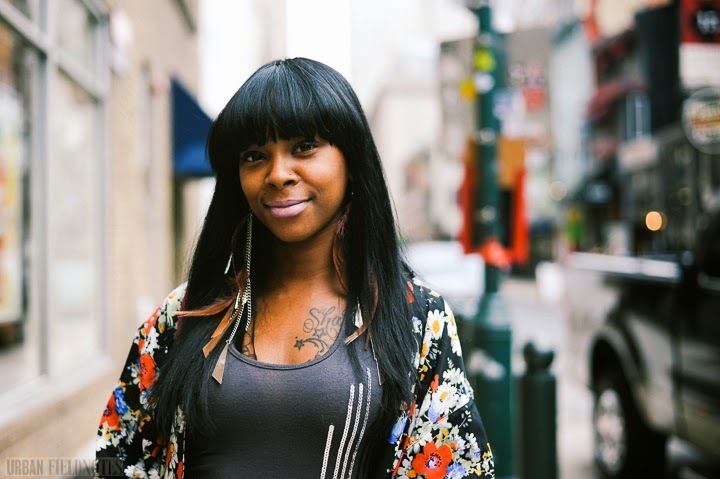 Davida describes her style as "girly,""unique,""bright," and "fun." She wears heels most of the time, prefers dresses. As for music, she listens mainly to jazz. Already beginning to reminisce about those colder days, not that long ago. It was, by the way, much colder than this young lady's outfit would suggest. She must have been freezing. I stopped Zack on 3rd St during Philly's First Friday last week. 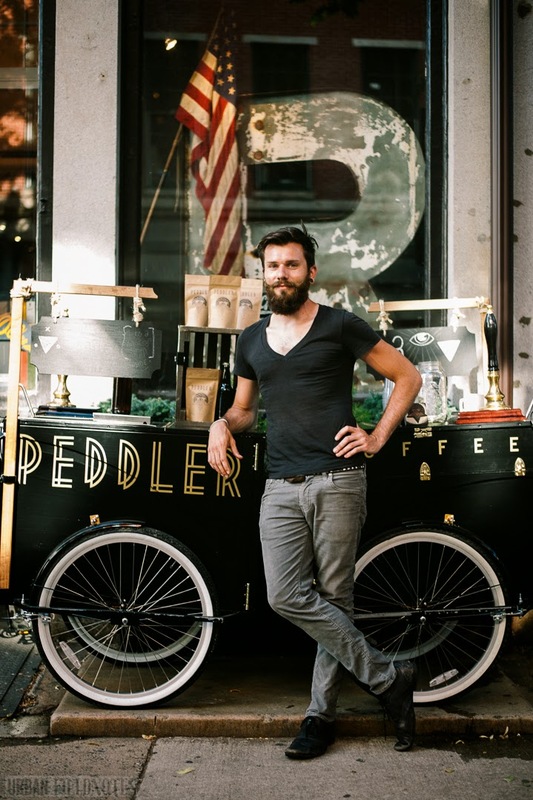 He had parked his Peddler Coffee wagon (or whatever you call it) in front of Art in the Age, my favorite Walter-Benjamin-inspired rustic clothing shop/craft spirit distillery. Zack absolutely looks like someone who would be riding a vintage coffee rickshaw around the streets of Old City. 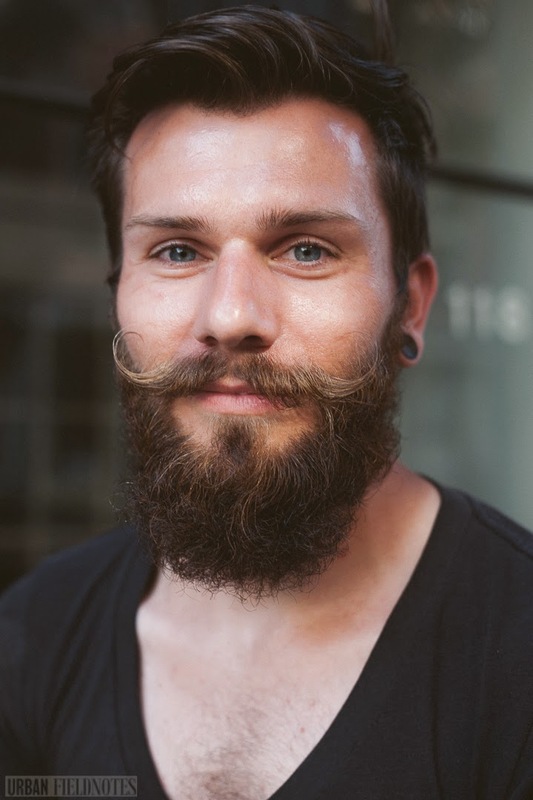 His beard and waxed mustache are very apropos. I approve. These shots of Alyssa are my first stab at fill flash. I'm pretty happy with them. It's one of a number of techniques I'm attempting to add to my photographic toolkit. 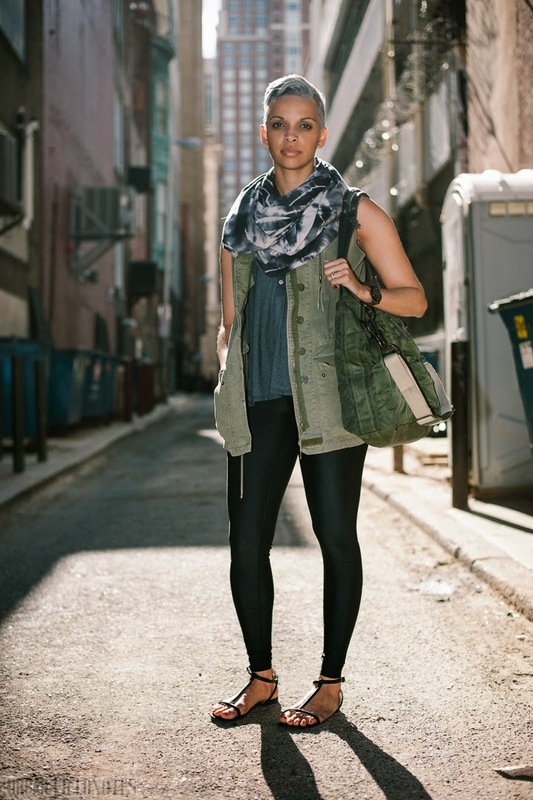 Alyssa is wearing Lululemon leggings and top (an Urban Fieldnotes first) and an American Apparel scarf. 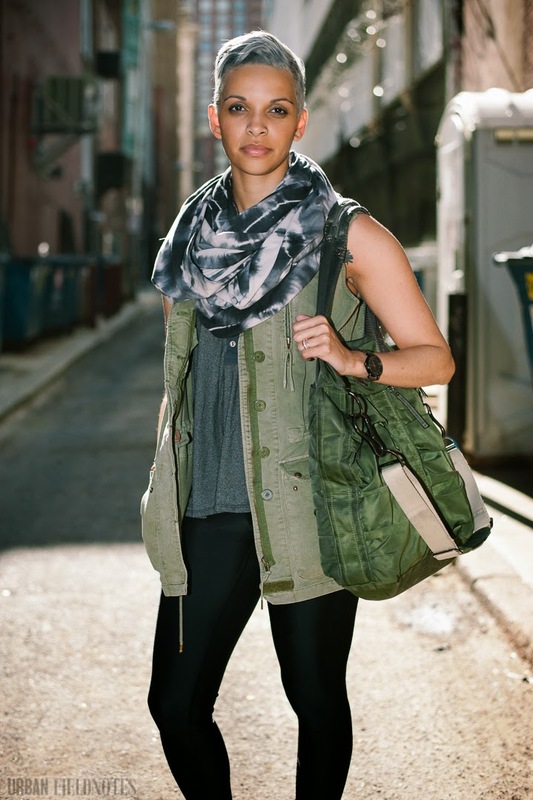 The sleeveless army jacket is "from somewhere in Iowa" where Alyssa's from. 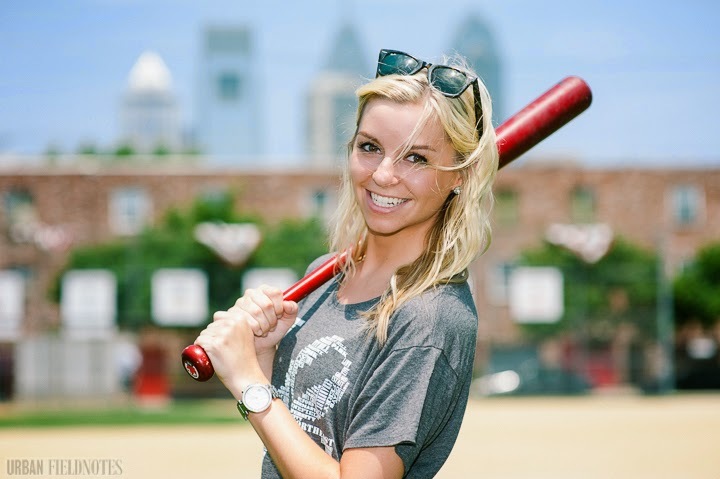 When I asked Alyssa her impressions of Philly so far, she told me, "It's got potential." And it does. I just hope it lives up to it. This shot incidentally, is the only one in the bunch I took without a flash.It was the only part of the alley where the light wasn't patchy. As for her music, Alyssa's been listening to a lot of James Blake and Sam Smith lately. But "she'll always love Kings of Leon." Here are some shots from a few weeks back. 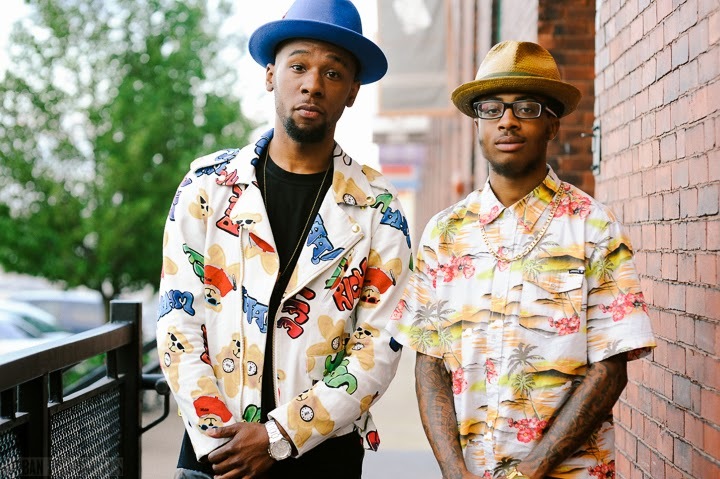 I hit the "Cyber Saturday" event at Armour, one of Philly's newest (and coolest) menswear boutiques, owned by David Grimes, featured in these images. He's got on a shirt by Shipley, a pair of Prospective Flow jeans, and some shoes he picked up at Barney's New York a few years back. 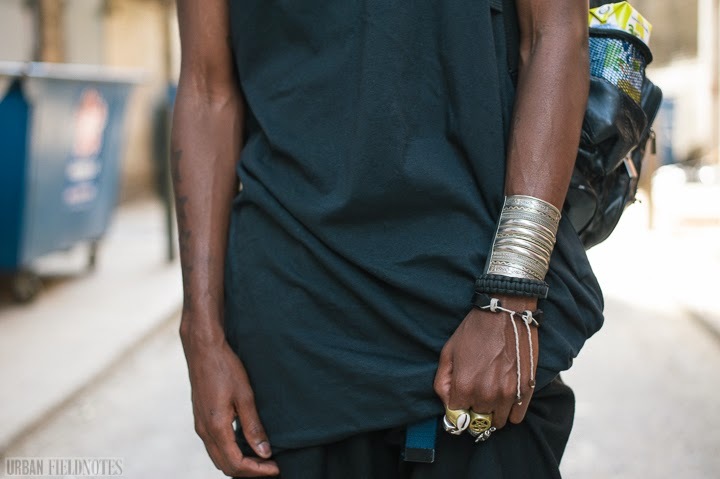 The bracelet, which you can barely see in this image (my bad) is by a designer named Bernard James out of Brooklyn. Bernard James and Prospective Flow products are both available at Armour. Cyber Saturday was a publicity event designed to bring Armour into interaction with various local fashion bloggers. I was on the guest list, along with Chaucee Stillman of Streets and Stripes, Jacqueline Davis Moranti of Burgundy Whispers, and others. Karl-Edwin Guerre of guerreisms.com was a special guest. He was on hand to give styling advice to potential customers. I hit him up with questions about street style blogging instead. 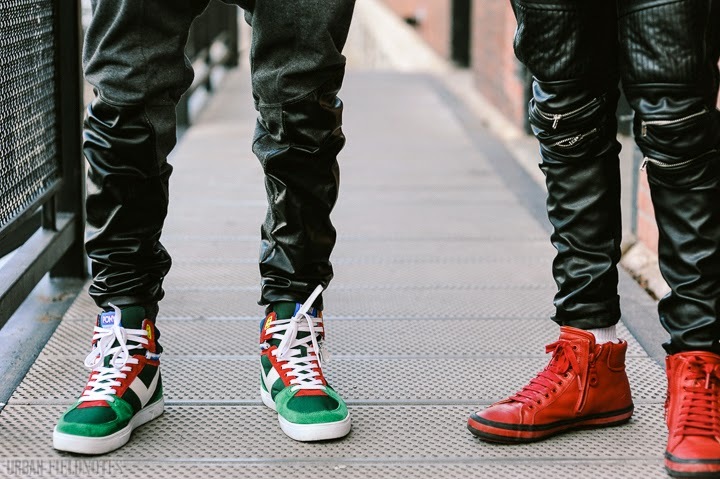 There can be no question that street style is a hustle. It is, as Guerre explained, something you do to get somewhere else, not just something you do for its own sake. It's a way to get your work out there and your brand established. It's a way to remain in the public eye. It wasn't always that way. 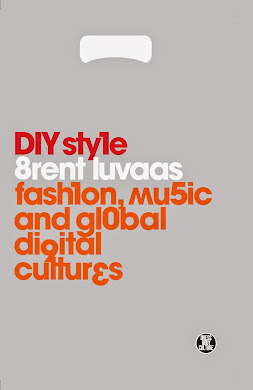 The first generation of street style bloggers (Liisa Jokinen, Yvan Rodic, Scott Schuman) had no idea it would blow up into such a big thing. When it did, they rode out the shock waves and then figured out how to profit from it. Guerre's been shooting since 2008. 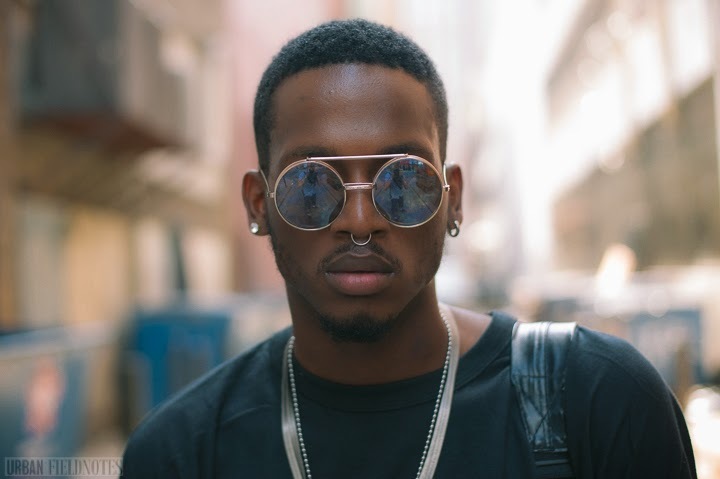 He's part of that second generation of street style bloggers who could see from the start that street style is a possible career path into the fashion industry. Not that he didn't get into it for the love of shooting. 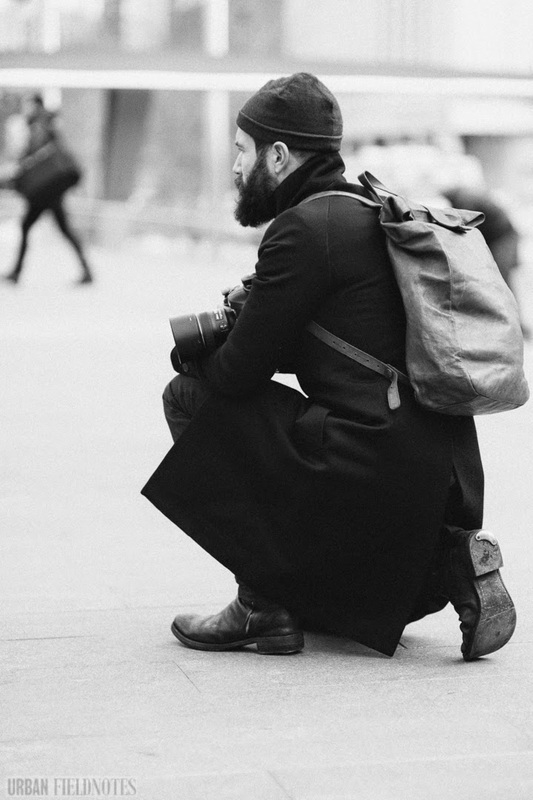 If you don't like taking pictures of stylish people, this is not the career path for you. It pays badly, if at all, for the first few years you do it, and the prospects of it turning into a regular gig are not terrific. 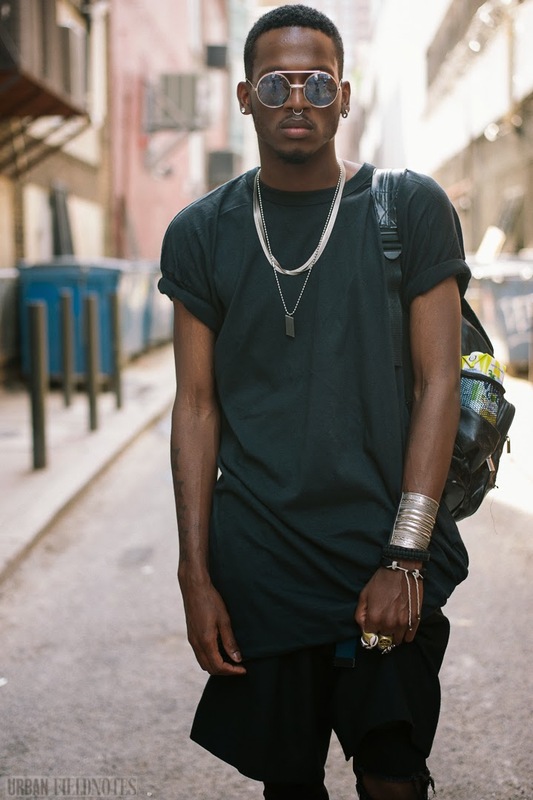 Nonetheless, Guerre recognized street style blogging as an opportunity. He got out on the streets of Brooklyn and started shooting. He spent so much time hitting the pavement that the size of his shoes jumped from an 8 to a 9! Now Guerre is starting to move away from street style. 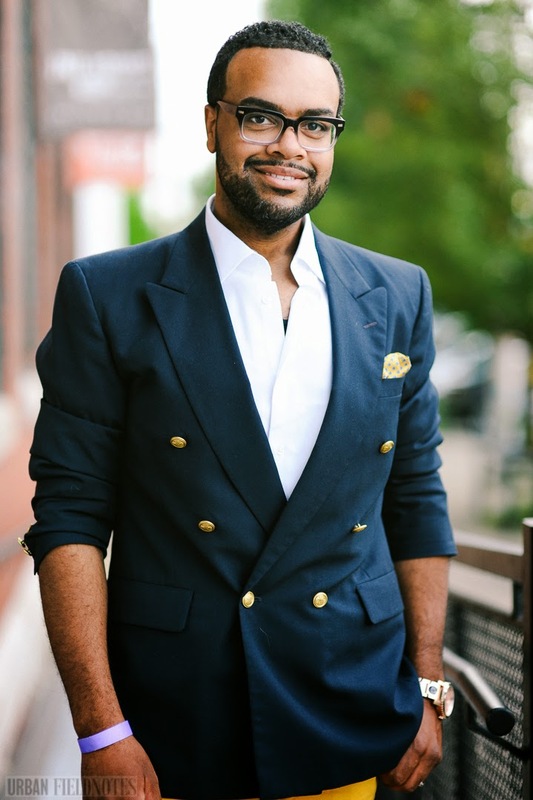 He does consulting work with various menswear brands, teaches various companies how to more effectively utilize social media. And he's working on starting his own menswear television network. Street style helped him get there. It's been good to him. He still does it primarily to keep his brand out there. 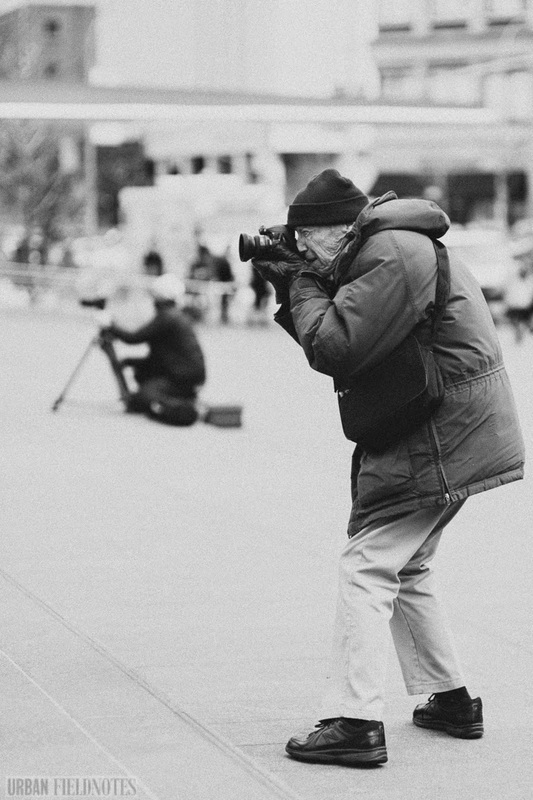 And the street style hustle doesn't end with bloggers. Magazines have jumped on board. Web sites have gotten into the game. Various brands and clothing labels use it to advertise and promote their wares. 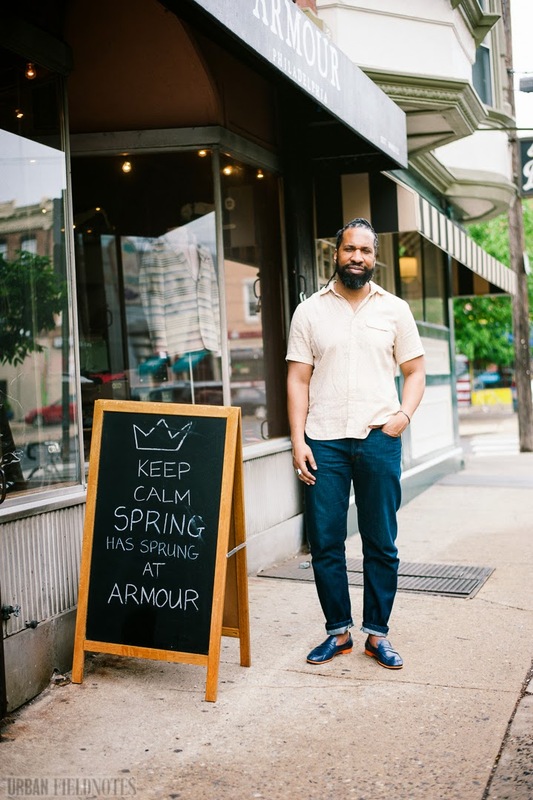 Even small boutiques like Armour see its potential for instilling their products with the cachet of cool. Hence Guerre's presence there. And my own, I suppose. 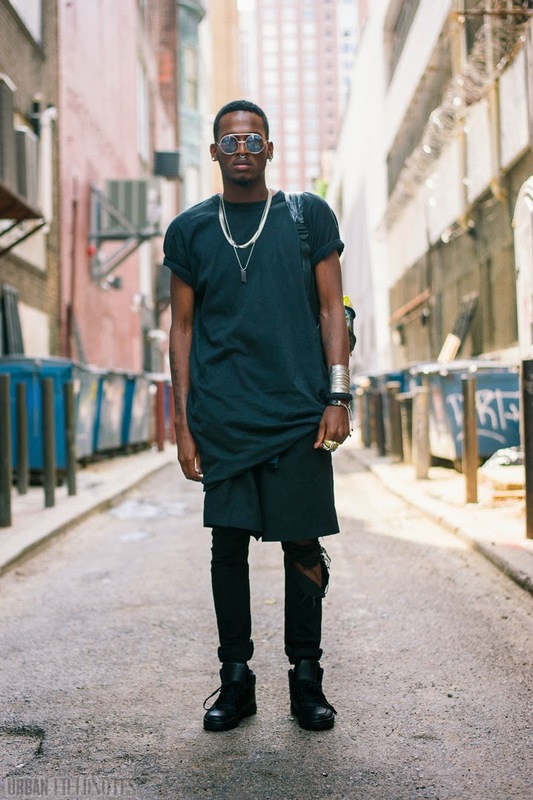 Street style bloggers have become ambassadors of cool. We are cool outreach. And what's cooler, anyway, than knowing how to hustle? 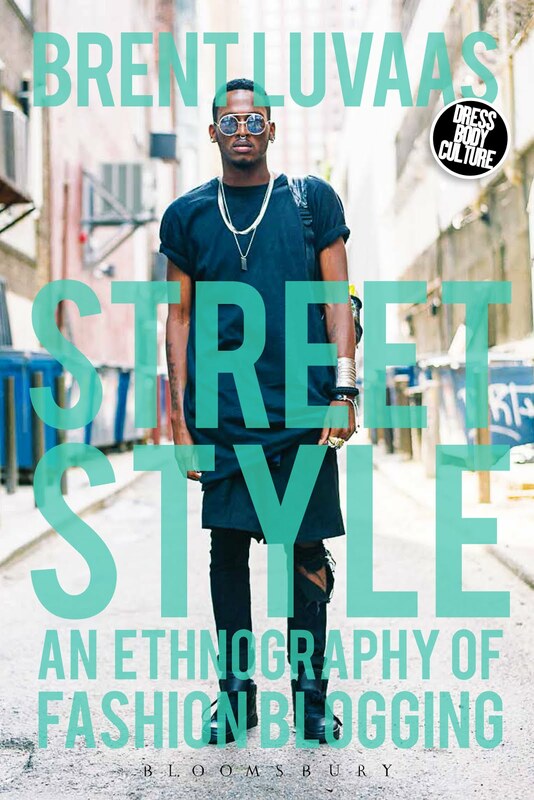 Urban Fieldnotes is Now Featured on StreetStyleNews! A couple of months back, I decided it was time to get pro-active again in promoting Urban Fieldnotes. The blog had been stagnating at around 15,000 pageviews per month. It had a few hundred Facebook likes, a few hundred Instagram followers, and was approaching a thousand Tumblr followers. That's not bad for an anthropology blog, but it's not awesome for a street style one. In order for this project to be successful, it also needs to have readers. I was ready to experiment with various methods of expanding my readership further. This is not just self promotion, after all; it is science! So I concentrated my energy in a few directions. I started leaving comments much more regularly on other peoples' blogs, tagging them with my URL. I worked on building my Instagram following by strategically liking the posts of and following other Instagrammers. Neither of these efforts seemed to result in much of an increase in my traffic. Blog comments are largely an anachronism. More and more people reserve their active online engagement for Instagram and maybe Tumblr. And besides, leaving comments on people's blogs, other than in those rare cases where I felt genuinely moved to say something, left me feeling kinda dirty. Instagram is way more fun. It feels much more like an organic online community. And it's image-based, so it's very much in my medium. But Instagram, regardless of its unquestionable import to the fashion world more generally, is not exactly a major traffic driver to sites outside Instagram. Instagram doesn't allow you to embed links. Images and tags just ricochet through the platform. I wasn't sure how it worked. I figured StreetStyleNews likely contact blogs with whom they'd like to be associated. I clearly hadn't shown up on their radar yet. But what the hell. It wouldn't hurt to email them and make them aware of me. I heard back in a few days from StreetStyleNews. "Great blog!" they told me. They'd love to feature it, but they also have quite a waiting list of other blogs. They said they'd let me know when they had availability. So I waited. A few weeks went by, and I waited some more. Then I got tired of waiting. So I wrote them again to see where I was on the waiting list. And the result? Well, you already know. 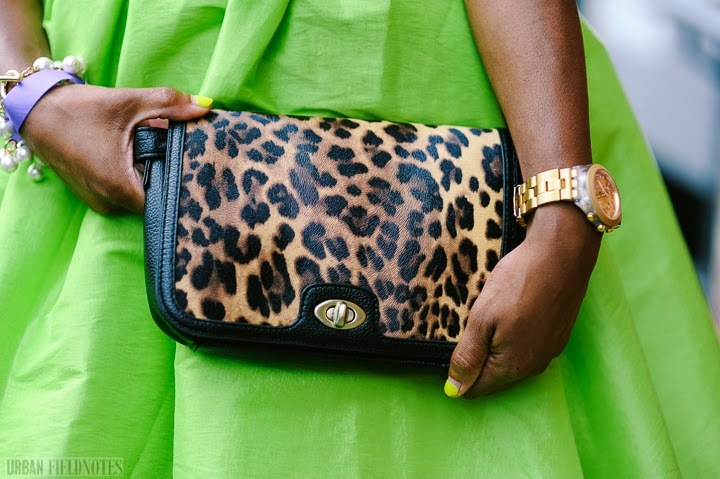 Urban Fieldnotes is now a featured blog on StreetStyleNews! So from now on, when I tweet or Facebook my latest post info, StreetStyleNews will be tweeting and Facebooking it too (follow StreetStyleNews on Twitter here or like StreetStyleNews on Facebook here). If lots of people then click through to my blog, Urban Fieldnotes could end up on their "Daily Most Popular" list, thereby driving my traffic up further. Theoretically, this should substantially impact the traffic to my site. We shall see. 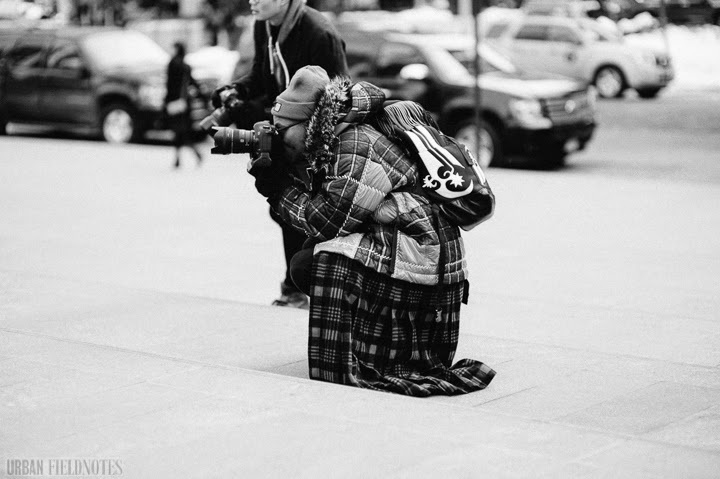 In the meantime, I need to get back out on the streets and take more photos! With Drexel's term coming to an end, it's been tricky these last few weeks. I'll make it up to you this summer. 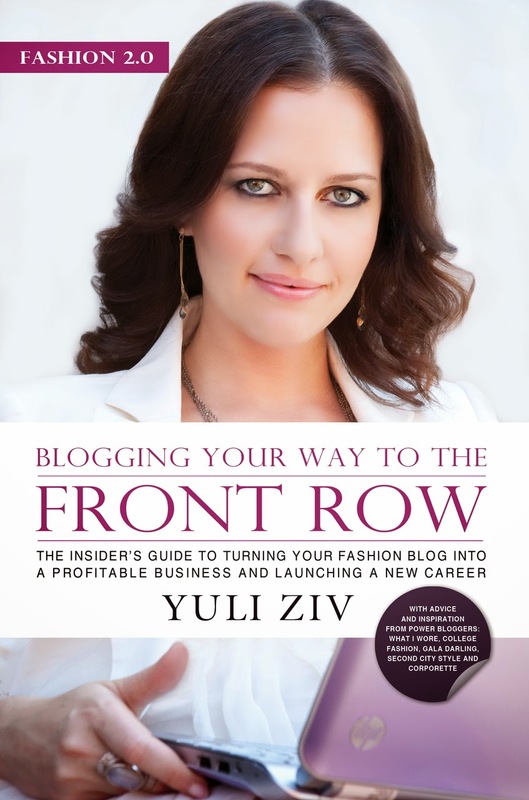 Street Style Bloggers as Brands and Businesses: My Evolving Response to Yuli Ziv's "Fashion 2.0"
I first read Yuli Ziv's book Fashion 2.0: Blogging Your Way to the Front Row about two years back, right as I was starting this project. At the time, fresh out of graduate school and steeped in my disciplinary biases, it read to me like agitprop for a feel-good version of neoliberal capitalism. This was blogger self-help, inspired by the management literature treacle that passes as social analysis in MBA-level marketing courses. Be yourself, goes the mantra, and the money will come. Merge your personal identity with your brand identity. Run your hobby as a business. You see, anthropologists are trained to develop a hyper-sensitivity to the incursions of capital into our everyday lives. We read all sorts of modern trends as redolent with the machinations of the neoliberal master plan. Slowly, but surely, you will be transformed into a commodity, and when you are, the very humanity will drain out of you. Social media, online dating, self-help, hell even yoga and gluten-free eating have been cast by anthropologists as extensions of neoliberalism. After all, each of these trends has to do with self-discipline, and self-discipline, we all know from Foucault, is power with a capital "P." It is "governmentality," that shift from sovereign, state-level forms of power to internalized and individualized self-monitoring that marks the transition to a free market economy. In a dictatorial regime, the state disciplines us. In a free market, we discipline ourselves. 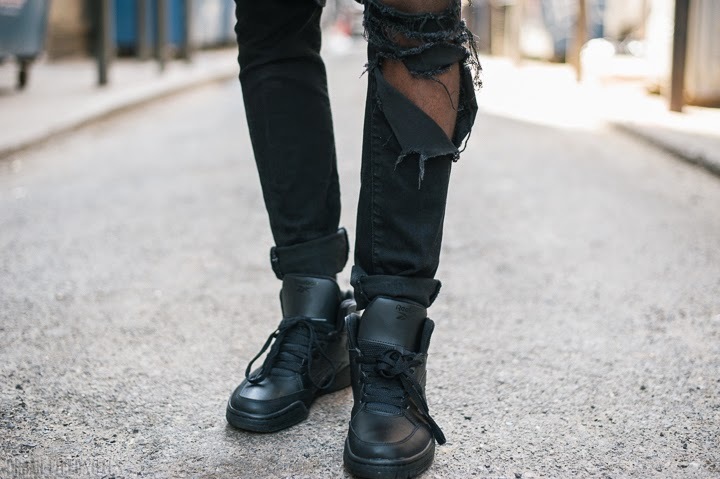 Adam Katz Sinding of Le 21ème, a master self-brander of the street style blogosphere if there ever was one. I am reading Ziv's book again now, and somehow it fails to elicit the same sense of dread. "Start," suggests Ziv of the first step in becoming a blogger, "by creating a personal brand that aligns deeply with your personal values" (pp 19). Then define your mission statement in accordance with that brand and stick to it. Develop a business plan that corresponds with that mission statement, and find ways to monetize your blog that aligns with who you are as both a person and a blogger. Think strategically, she commands, but also ethically. Don't just offer yourself up to whatever brand comes your way. Make sure that the commitments and collaborations you engage in correspond with your personal brand and your vision for your blog. 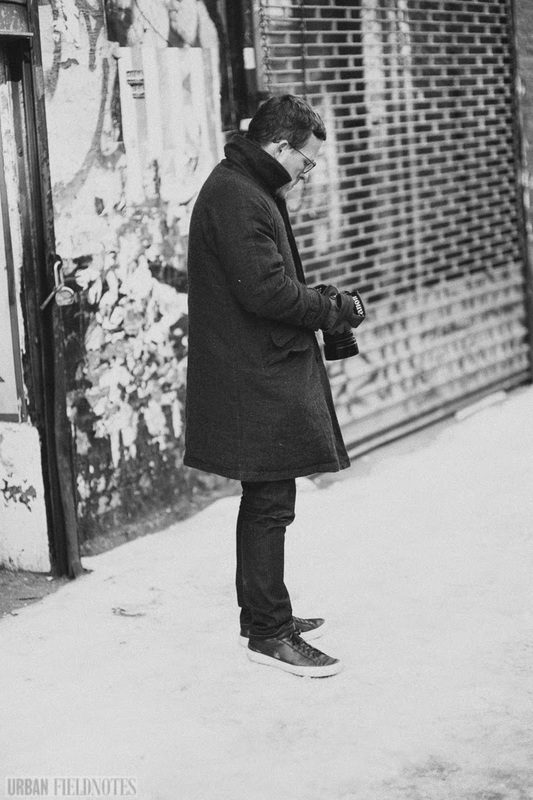 Scott Schuman of The Sartorialist, shooting lone-wolf style on the streets of New York, and hence, reinforcing his lone-wolf blogger brand identity. Does this book treat blogging as a business? You bet. Does it encourage its readers to strategize about how best to monetize their blogs? Absolutely. Does it equate personal identity with brand identity? I'd have to say it does. Is that a problem? I'm not so sure. If you are a blogtrepreneur, like Scott Schuman, Adam Katz Sinding, or Tamu McPherson, using your blog as a way to launch your career in the fashion industry, how else would you think about blogging? Fashion 2.0 may be written in the sugary jargon of marketing, but it offers up some eminently practical advice. I have come a long way in my thinking over the last couple of years, for better or for worse. I used to think of blogging in much more idealistic terms. Blogs were a high-tech instrument of a global public sphere, a way for the silenced masses to get their voices heard. 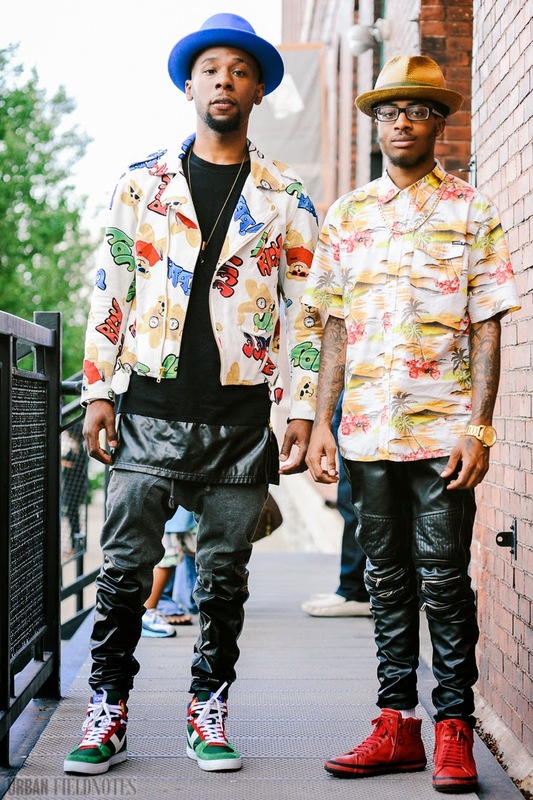 And street style blogs were outsider visions, knocking on the door of the fashion industry. Making profit off of them seemed somehow counter to that goal, too crass and calculated not to contaminate it. Now, I can see that profit also keeps a blogger's dreams alive. It enables her to keep on keepin' on. These days, I find myself using the language of branding for thinking about my blog and my projected image as a blogger. I also, of course, use the language of anthropology: "neoliberalism," "hegemony," "governmentality." I am becoming bilingual. All good anthropologists do. And yet more and more I find myself using the former language more than the latter. It's simply more useful for talking about blogs. And it's the language bloggers use. Bloggers, after all, are not passive victims of a neoliberal economic order. They do not need to be saved by anthropologists. They are shrewd manipulators of business principles, playing their part in the game, while trying not to get lost to it. Of course they accept gifts from companies, struggle to get on the invite lists of fashion events. Of course, they hustle to get their pageviews up, maximize their number of followers. Of course, they borrow their strategies from the business plans of start up companies. They have careers to build and reputations to establish. They want to make money off what they like doing. Who wouldn't? No one wants to have to keep their day job. So the question for me is: what has changed about me in the last couple of years? Have I drunk the Kool-Aid? Have I bought into the hype? Have the great grubby claws of neoliberalism sunk themselves so deep into my flesh that I can no longer tell me from it? Or have I simply started to see the world the way a blogger does, pragmatically assessing what they—and I— need to do to keep my blog out there and expanding? Bloggers may have once been on the political frontline of a media revolution. The verdict is still out on that one. But today, they are mainly small-scale entrepreneurs, doing what they have to do to build a name for themselves and forge a career out of their passions. Are there compromises to be made along the way? Sure. Do these compromises make me fear for the younger generation and the future they will inhabit? Not really. 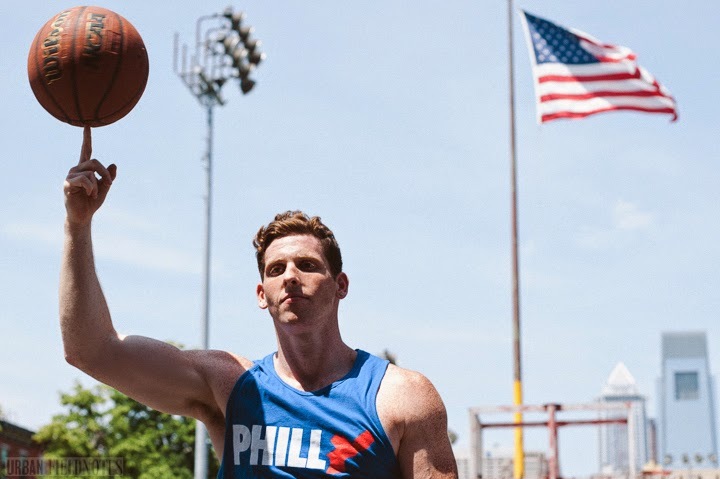 Bloggers may use the language of brands to describe themselves and their practice, but they also often go to great lengths to make sure their brands correspond with who they are and what they believe in. Ziv's book is not for everybody. Anthropologists will hate it. Critical theorists will file it under "N" for "neoliberal." But street style bloggers may find something of value in it. They are navigating a line between blogging for passion and blogging for profit. Ziv lays out one road map for doing so. Anselmo had the neon green theme running all the way through this outfit. 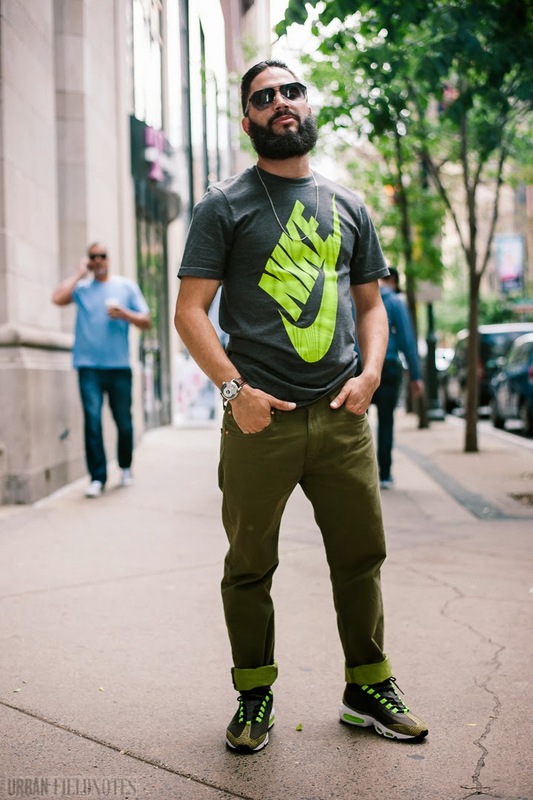 Here's wearing a Nike T-shirt, a pair of Levis, neon-lined jeans, and new Nike Air Maxes. He's also got on a Mont Blanc Nicolas Rieussec Twin Barrels watch. Anselmo describes his style as "original." As for his musical taste, it runs all over the place: "Classical, '80s, classic rock, a little bit of rap, Italian rap from back home." He was born here (in the US), but still has a lot of family back in Italy. Rap is one of the ways he keep up with the old country. If you're looking to check out some good Italian hip hop, Anselmo recommends Luche, Club Dogo, and Marracash.